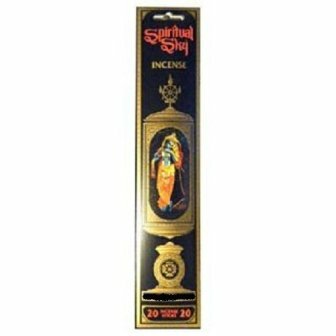 The fragrance of incense brightens our days, gentles our nights, softens adversity and touches the soul - Spiritual Sky captures nature's scented melodies creating aromatic symphonies. You'll find beautifully earthy, deep base notes in Musk give that grounding feeling. 20 sticks per package. I was and still am very pleased with the Incense. The aroma takes me back to the early 70's when life was fun for me. I consider the Incense to be almost therapeutic for me. I do highly recommend it.